The Blue Line Home on EM Press available now in the store! A justified criticism applied to the misnomer “slam poems” is that they are hyperbolic confessional prose posing as poetry. 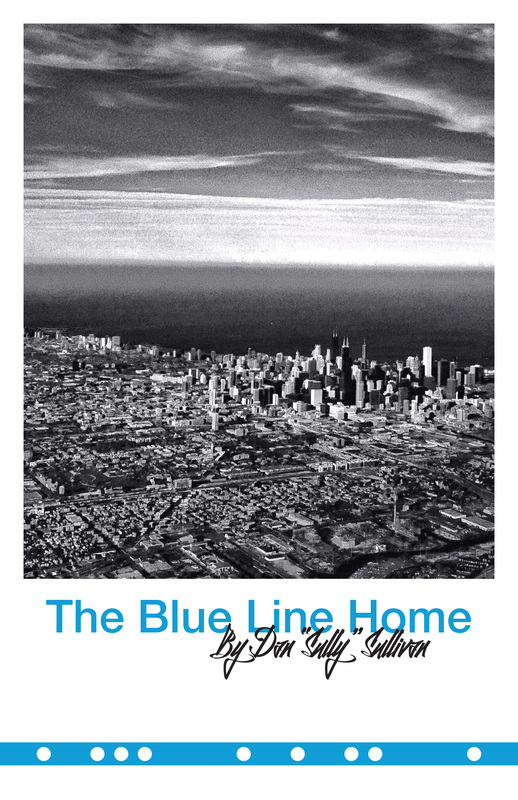 Dan Sullivan’s “The Blue Line Home” disproves this generalization showing the reader that the best writers within the slam movement are as well accomplished in the craft of writing poetry as they are in performing. This collection, through its precise use of language, turns the ordinary experiences into profound and poignant revelations of life. And that’s the poet’s job, to find the sublime in even the smallest moments of day. —Marc Kelly Smith, founder of the international poetry slam movement. There are a handful of people who when I think of them, I think of Chicago. Chicago is a damn beautiful poem of a place. Daniel Sullivan is one of those people. Call me old-fashioned but if someone manages to manifest an entire city through their heart, then you should probably read their poetry. I’m just sayin’. Dan Sully’s poetry quite perfectly reflects his teaching: it is thoughtful, soulful, and brimming with discovery. Chicago culture lurks in every image, and each poem etches beautifully at realization and truth. I am honored to call myself his student, and know that this work will become a great teaching tool to many—myself included—in the years to come. Sully’s poetry is alive and relevant. I constantly find pieces of myself within his poems; funny bones and gritty teeth mostly, fingers, greedily turning the pages for more. I don’t know anything about poetry. I never feel like I get poems, that they’re meant for someone smarter, someone more cultured. You know, the kind of gentleman who wears a monocle while reading the arts section of the Sunday Times … but I love Sully’s poems. They speak to me, make me feel good, make me feel proud to be from this incredible city, and I’ve never seen that dude wearing a top hat. To read Sully is to hear the heartbeat of the city. These are honest and authentic poems soaked in French fry greaseand factory smoke cooled by the breeze off the lake. It’s a rare treat to find a poet who can give readers the true experience of any place without over-glorifying it. Sully interweaves grit and beauty to give us a book that speaks truth. —Shanny Jean Maney, Co-founder of the Encyclopedia Show and author of I Love Science! I like drinks with little umbrellas in them, shows on Bravo, and poems. Especially these poems. Manly poems. Poems about Chicago. I like hockey, too. Sully is the Norm Peterson of poetry slams.